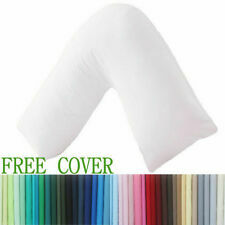 Giant U Shaped Support Pillow Only (No Pillowcase) - 9FT. 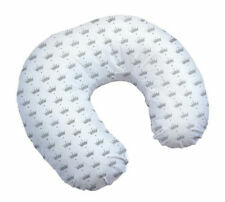 These pillows are ideal for use during pregnancy and for those suffering from upper or lower back pain. They also help to relieve hip, shoulder, neck and joint pain by providing great support to your spine, muscles and joints. 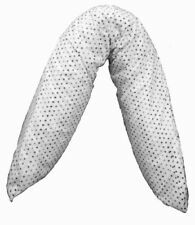 Maternity Pregnancy Pillow Extra Fill 12 Foot. 4-It supports Back,Neck,Shoulder Pain,Maternity Discomfort,Restless Sleep. This pillow is not just for pregnancy, but can help you sleep if you suffer from pains and arthritis when sleeping. A Must Have for baby bedding/ sleeping. Specially designed to prevent the baby turn/ move their head, not to give the baby cervical oppression. Suitable for baby\'s head type pit. Keep baby safe and comfortable throughout the night using the sleep positioner providing a secure fit. Designed to reassure baby and make him/her feel safe, Cosyseat is made from ultra-soft, micro-breathable fabrics, with quilted edges to provide even greater support. Cosyseat can adapt to each baby's size, and is universal for every car seat. 100% Hollow Fibre Filling with Soft Poly Cotton Cover.! BREAST FEEDING MATERN ​ ITY PREGNANCY. NURSING BABY SUPPORT. REMOVABLE ZIPPERED COVER. 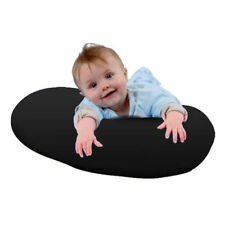 The pillow is great support to you and your baby when feeding. MULTIPURPOSE SUPPORT PILLOW. Our pillow has multiple functions. 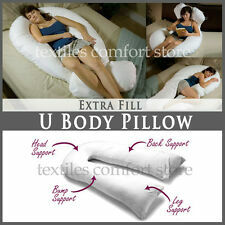 Firm yet comfortable, the ergonomic design ensures the pillow fits to your body, allowing you to relax in comfort. Small and versatile, you can take the Widgey wedge with you wherever you go. The cotton cover is removable for hygiene and is machine washable. 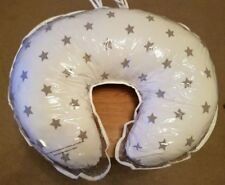 ⭐️Breast Feeding Maternity Nursing Pillow Grey Stars Zipped Cover Only. They are ideal as a spare cover to wash & wear. Non of the faults affect the use of the cover. Complete with vacuum storage bag. Complete with washable cover Ultimate comfort for you and your baby, when bottle feeding or breastfeeding. Excellent comfort when sitting or sleeping for mum. Can be used as a neck support. 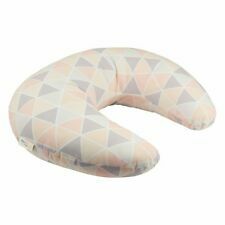 Boppy Baby Freding Support Pillow. Condition is Used but very good used only handful times. Dispatched with Royal Mail 2nd Class.